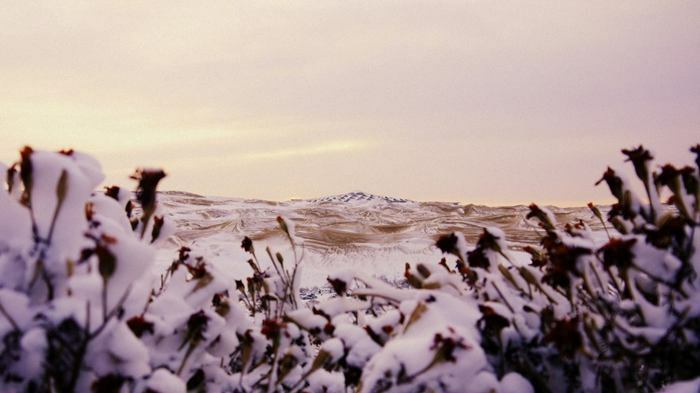 Lotus Hotel is located in Xiangshawan Desert, 800 kilometers west to Beijing and middle of Ordos and Baotou. 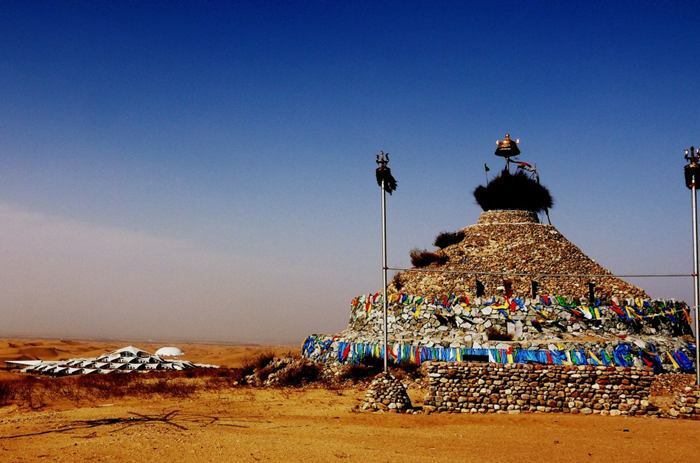 The site is facing Hantai River, a branch of Yellow River, and east to Kubuqi Desert that more than 200 kilometers wide. 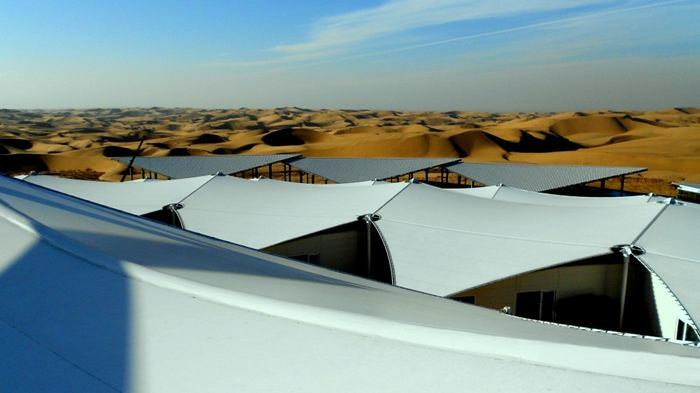 Due to the restriction by its special geographic condition, PLaT Architects invented a new structural system that fix in fluid sands using only steel panels without the help of concrete or water. The panels and the supporting skeleton structures are pre-fabricated, and make the base of the building a large container for sands. 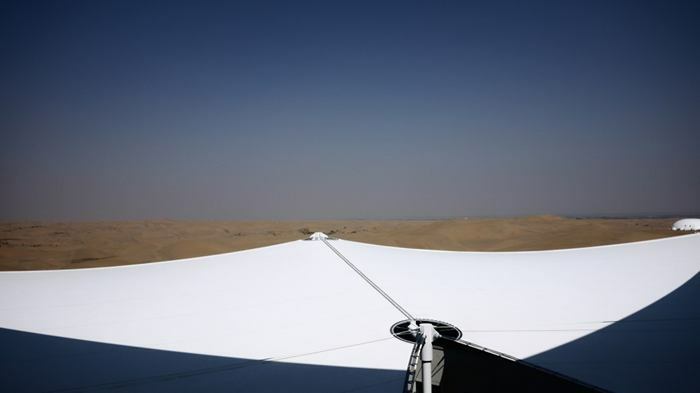 Thus, the steel panel structure can function as a boat floating on desert that carries the building. The sands in and out of the structure exert same forces to each other, and thus it is flexibly stabilized. Also, walls are load-bearing structures in order to reduce the pressure on base. 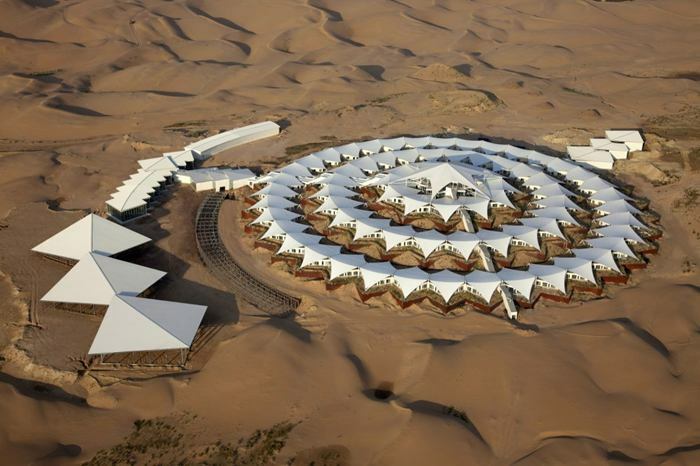 Moreover, architects use local materials in interior design so that people get full experience of desert in Lotus Hotel. For instance, through a series of experiments, they managed to invent a wall-covering material that is made of sands from local desert. 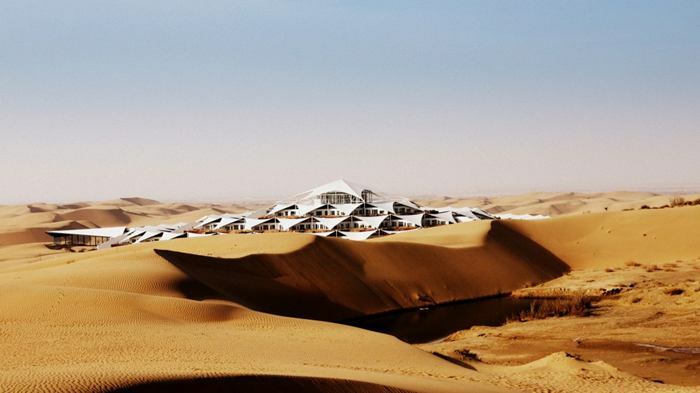 The form of Lotus Hotel not only blends in the desert, but also exhibits a power of the environment and itself. 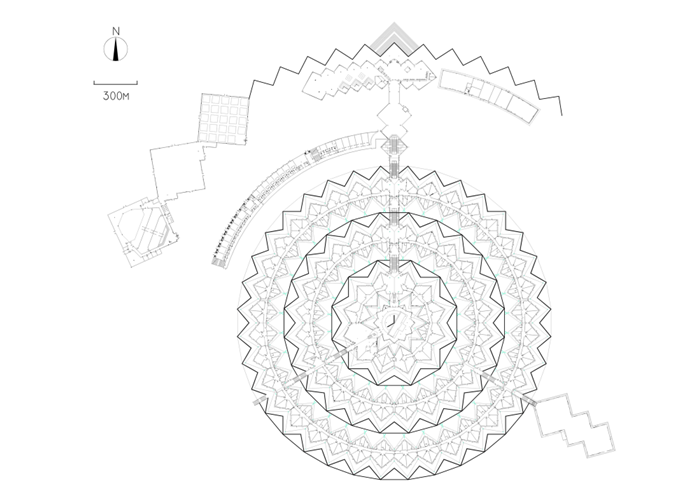 Architects used the traditional Chinese idea of “Zhen”, which is, in simple words, the art of repeating same elements. Rotation of squares in a same angle creates triangles in the process, and made the form stronger. In consideration of structure, shading and wind, architects integrated function, form and landscape, resulting in a form of lotus. 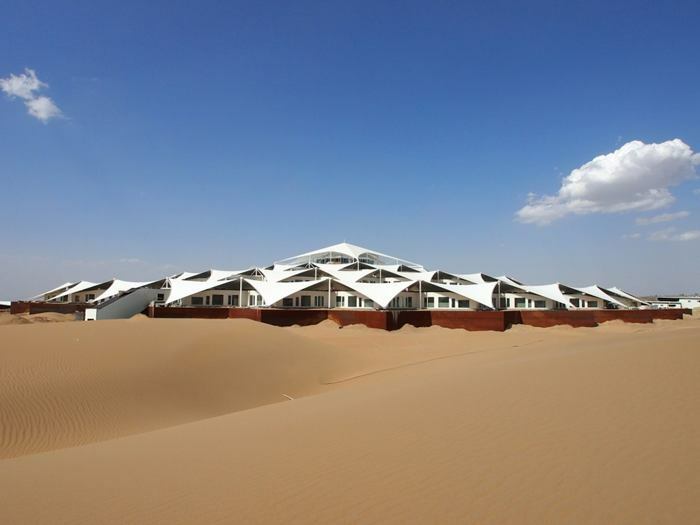 Lotus Hotel is only a part of Xiangshawan Desert planning. 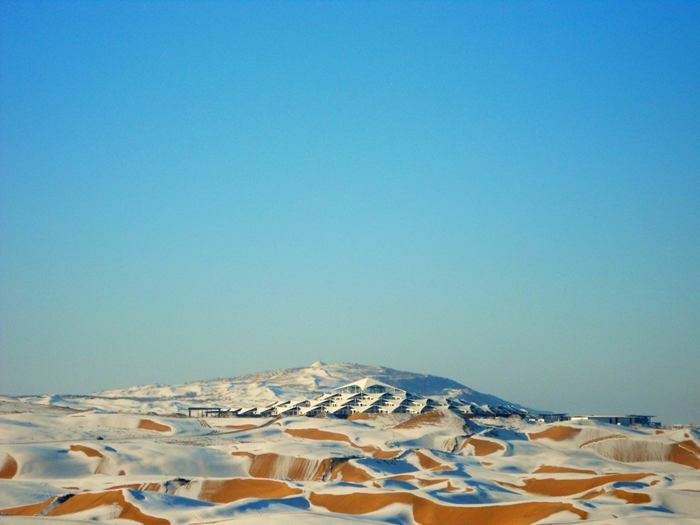 There will be more such as sustainable tourism in desert, and developing more desert architecture. PLaT Architects is targeting for net-zero sustainable architecture that generates electricity and water in its own system enough for supply.